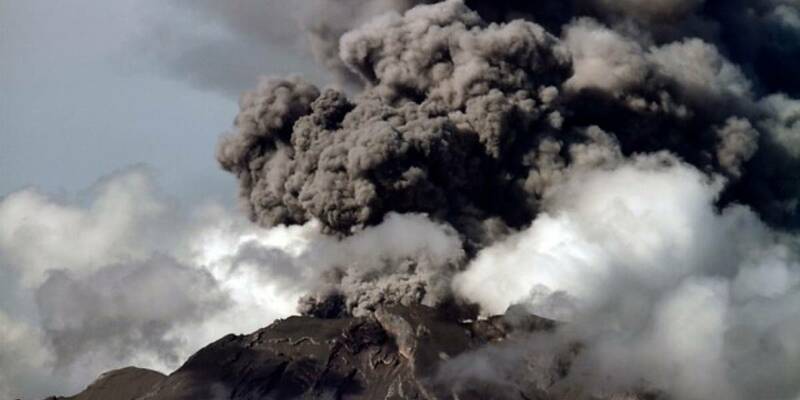 There are currently 19 erupting volcanoes, 16 in minor eruption states (35 in total) and 32 volcanoes in unrest. This is a lot! And this enhanced volcanic activity is not going to stop… According to experts, the Sun’s activity in Solar Cycle 25 is going to be below average, like Solar Cycle 24. This means drop-off in solar activity and coronal holes, a waning magnetosphere, and the increase in Galactic Cosmic Rays penetrating magma. 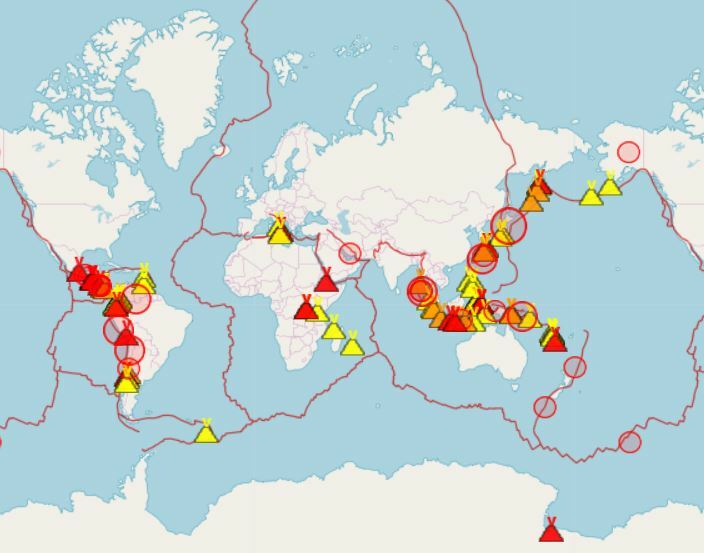 Right on… Here the latest eruptions around the world. 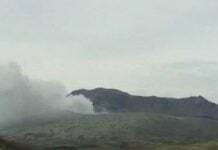 The strong explosive activity that has started on April 8, 2019 continues today, April 11 at Shiveluch volcano, Kamchatka Peninsula, Russia. Volcanic Ash Advisory Center (VAAC) Tokyo warned of a large volcanic ash plume rising to 33,000 feet (10.1km), or flight level 330, and moving 45 kts to the south on April 10, 2019. 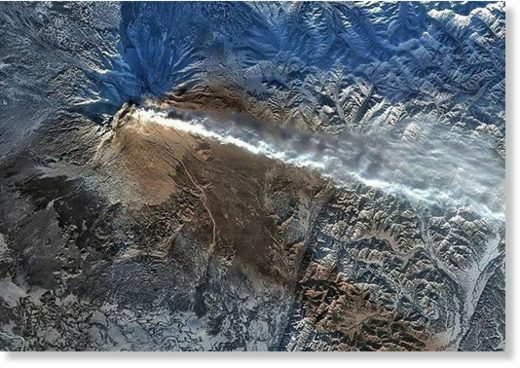 The KVERT observatory warns that ash explosions of up to 49,200 feet a.s.l. could occur at any time. This unstable stratovolcano, with a recent eruptive history littered with VEI 4s and 5s, has seen a tremendous uptick in activity so far in 2019 (drop-off in solar activity, coronal holes, a waning magnetosphere, and the increase in Galactic Cosmic Rays penetrating silica-rich magma). Particulates ejected to altitudes above 32,800 feet (10km), and into the stratosphere, have a direct cooling effect on the planet. 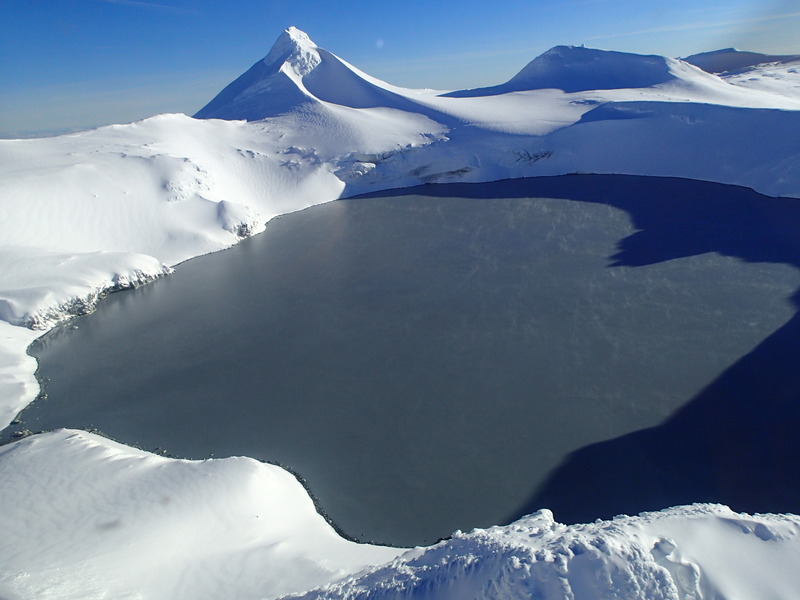 GeoNet is recording another phase of high lake temperatures at Te Wai ā-moe (Crater Lake), Mt Ruapehu along with moderate levels of volcanic tremor. The Volcanic Alert Level remains at 1. Since 2009, GeoNet has continuously recorded the temperature of Te Wai ā-moe. Over this time, the temperature has often cycled between ~ 15 and 45°C over a period of about 12 months. However, in September 2018 they recorded a departure from this, and for the following 6 months the lake temperature remained elevated (at ~ 30°C). Over the last two weeks, the lake temperature has risen further, at a rate of around 0.5°C per day, to 42°C on April 9. To put this in context, only 1 per cent of post-2009 temperatures have exceeded 42°C and a similar temperature last occurred in May 2016. The level of volcanic tremor typically also increases when the lake temperature rises, and this has been the case in the last 2 weeks. The current tremor intensity is moderate. In previous heating cycles, this increased tremor lasted for a few days to several weeks. On April 10, 2019, at 18:17 local time, a 2-minute eruption of the Rincon de la Vieja volcano sent an ash and vapor column 1,000 meters in the air. 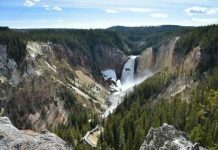 The eruption was accompanied by a volcanic tremor picked up by local seismographs. 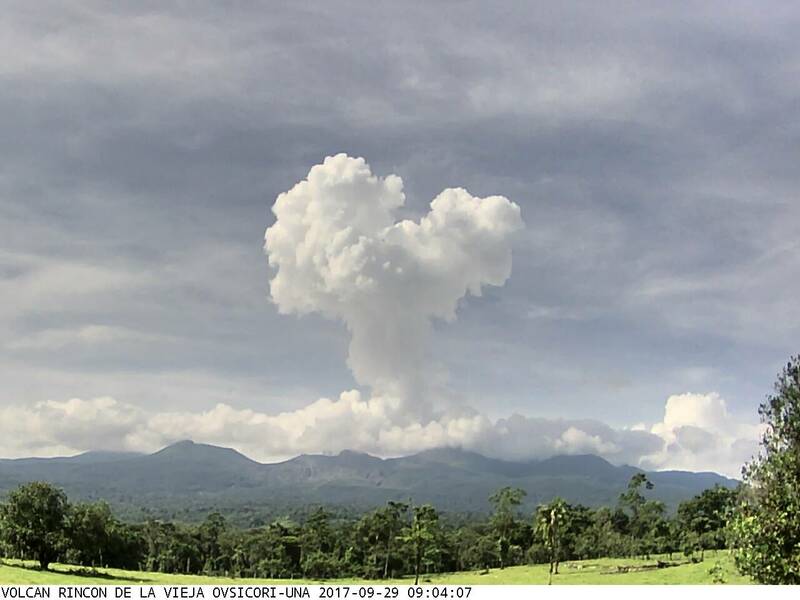 The plume of ash and gas was observed and reported by the inhabitants of the northern sector of the volcano and Curubande. 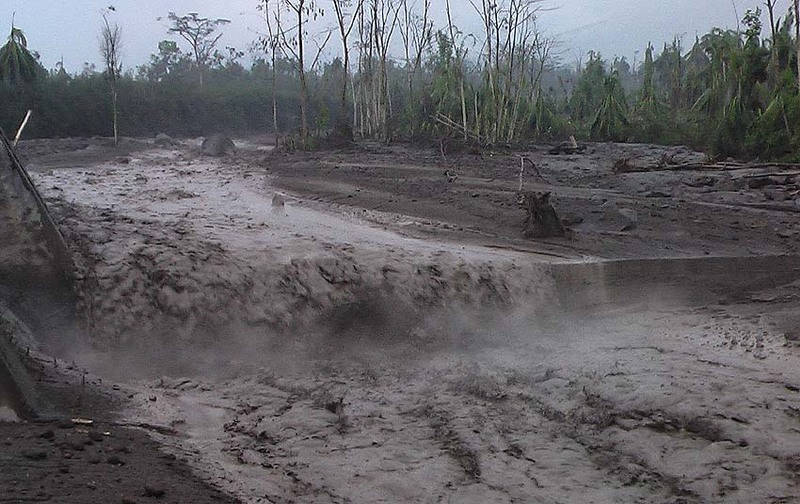 On April 10, 2019, heavy rainfall triggered strong lahars descending is the ravines of Las Lajas (tributary of the Guacalate River) and El Jute (tributary of the Achiguate River). These steaming hot lahars carry blocks from a few centimeters to two meters in diameter branches and trunks. On April 9, 2019, at 04h57 local time (08h57 UTC), the monitoring stations installed near the volcano Nevados de Chillan recorded an explosive event with a long period type earthquake (Type LP). 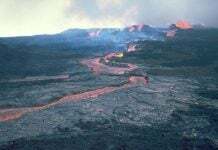 The explosion triggered a strong incandescence around the crater. Previous observations suggest a partial destruction of the dome inside the crater. The volcanic unrest is still going on… And with the coming solar minimum, it is not going to stop in a while! Be prepared!